Coffee is one of the most popular beverage consumed in the world. The various blends and flavours are enjoyed in an estimated 70 million cups every day by nearly 75% of the total population. Coupled with the coffee are various additives and flavours to enhance and enrich the drinking experience. For most, that additive is cow’s milk, however, nearly 15% of the population is lactose Intolerant. Not is all lost as there are many alternatives to cow’s milk and who is better at suggesting these options than the people at Coffee Wholesalers Doppio Coffee. Their team has researched far and beyond to summarize your options. One of the more popular choice for a milk alternative is rice milk. It is organic and does not have the powder flavour like that of mass produced alternatives. In fact, the milk is rather like coconut milk or water in its consistency. For those who wish to have the creamy texture of milk would do best to find a different alternative. Yet, for those who just want to have a bit of flavour in the coffee, than it does well with regular brews. Rice milk is not recommended for espresso as the robust flavour is a bit much for the Rice Milk to handle and also it doesn’t froths that good. This happens because of lack of proteins in the milk alternative. For those who want an organic solution to ‘regular’, rice milk is great, but if you want to have any sort of latte, espresso, mocha, or specialty coffee you should look for an alternative that froths. Soy milk, can be easily called the most popular among the milk alternatives. Made from the Soy bean, the milk is offered in an array of flavours from a diverse branding market. It contains no lactose, so those who are lactose intolerant gain the textural benefits of milk (as the substance is very comparative to the density and the texture of cow’s milk) while not risking the harm caused to his or her system from the lactose. Soy milk contains only vegetable proteins which means that calcium based problems caused by milk are avoided. As the milk has the proteins, it is ideal for coffee drinks which require foaming or steaming of the additive such as in lattes, mochas, cappuccinos, and espressos. Soy is also appropriate for the darker roast coffees, keeping in mind that the thickness of the Soy milk can diminish the flavour, if added too much. That being stated, the same rule of thumb for milk should be applied when adding soy to coffee. A cautionary note should be mentioned for those who have digestive issues caused by cow’s milk. In a report by the TODAY show with Dr. Kevin Ghassemi stated that some alternatives, specifically soy milk, can cause the person to have irritation just as milk would cause. This is not due to much content of the substitute but to the body’s nerve system reacting to the new additive. Before pouring a cup of coffee, first test to see how your stomach will react to soy, especially if you are new to milk additives. Like many things, your body may need to become accustomed to the substances before implementing them into your daily routine. A growing alternative to both cow’s milk and to the soy milk substitution is Almond milk. The flavour of the almond milk is a bit sourer than that of Rice Milk or of Soy. Being that, the flavour is so pronounced, very little is needed to alter the flavour of the coffee. Almond milk may foam easily, but it is also a bit particular in the amount of heat which can be applied to get the desired froth and foam. It is very common on espressos that the milk separates. This can result in a nice exterior to the drink but a rather watery drink underneath. Compared to other alternatives, almond milk produces better results in steaming and foaming due to the high protein content. When looking into Almond milk as an alternative to cow’s milk, it is important that the ingredients are inspected. It is best to get an organic brand of Almond milk to avoid additional additives. Furthermore, several brands add high levels of sugar to the milk trying to mask the strength of the Almond. This may also produce a smoother flavour to the milk when consumed on its own coupling with coffee and sugar, the effect can be a bit overpowering. Additionally, almond milk should be made up of the almond and not from almond flavouring. Ensure that you are getting a real alternative and not the manufactured one that is not really from the plant. 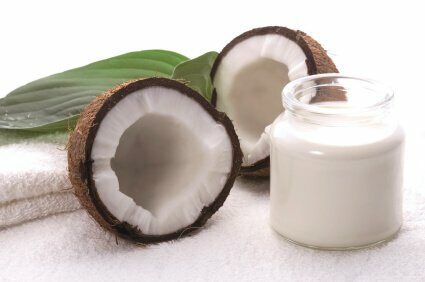 When most people think of Coconut milk, the image of drinking straight from the plant comes to mind. Perhaps this is a bit due to the Robinson Crusoe and other media survivalist movies out there. This is not the reality of the alternative though. Coconut milk is a blend of the juice from the coconut and filtered water. As coconut milk is already a bit watery and water is being added to the substance, it is very thin and fluid. It has the consistency of water and a very definitive taste. Because of the assertiveness of the flavour, it is not advised that you use a great deal of the milk in your coffee. A little goes a long way in this circumstance. Typically, Coconut milk is offered in either can or carton selections. Both do well as an alternative. However, the carton generally provides a bit fewer calories than the canned selections available. Also, when opting for the carton, less BPAs are exposed. For coffee consumption, the coconut milk will not greatly alter the aesthetics of the coffee. You will have to do a taste and adjust method to adding the milk (whereas with soy or milk you can approximate the amount of milk on the effect is has on your coffees hue). Coconut milk is not advised for steaming and espressos as it does not foam. It can be coupled with other alternatives to give unique flavouring, but should not be used primarily in speciality coffees. 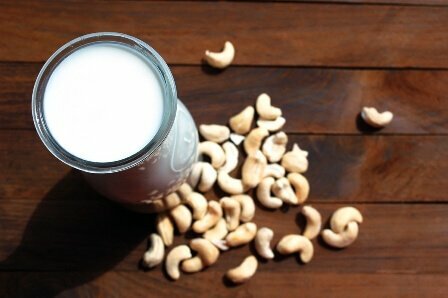 For those which want to have the texture and the consistency of milk without going with the soy milk alternative, cashew milk is a very close alternative solution to cow’s milk. The calcium, vitamins, and the thick white appearance makes the milk harder to distinguish from the cow’s milk. As the milk is made from a nut, it is very dense in proteins which make it ideal for speciality drinks such as lattes, cappuccinos, and espressos which require foam or steaming. As with soy, those which are sensitive to calcium should take note that the Cashew milk has a high level of it. Using Cashew milk as an alternative may cause irritation in some cases. However, if calcium is not an issue, you will find that the milk works universally in coffee selections. 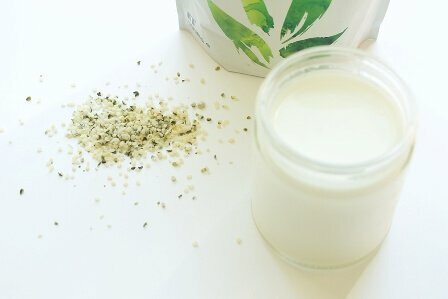 There has been a bit of a stir regarding Hemp milk recently. Although there has been a great deal of exposure to the benefits of hemp milk and what it can and cannot do in terms of its content, there is still a bit of bustle about its roots. Hemp milk is derived from the same family as marijuana, but the processing and the treatment of the seeds is far different which greatly reduces the THC (tetrahydrocannabiol) in the plant. The percentage is less than 1%, eliminating the risk of getting high/stoned off of the milk. The flavour of the hemp milk has a creamy consistency. When compared to other milk alternatives, it does weight a bit thicker in density than that of almond milk, rice, or soy. Like Almond and Cashew milk, the alternative does have a nutty flavour, but it is not over powering. Plain organic hemp does not contain sugar or cholesterol. Keep in mind that Bristol and other coffee businesses may not have plain hemp milk and that the flavouring such as vanilla, chocolate, and such will add to the sugar and fat content of the milk. It is best used as an additive to dark coffees. Lighter coffees may not favour too well to the nutty flavour. Depending upon the brand, the hemp milk may give off a grassy flavour which when paired with a sweet coffee could produce adverse effects to the flavour. Hemp is best paired with strong coffees and earthy or dark flavoured speciality drinks (whose foam is from another alternative). Though not a popular selection, oat milk can be used as a milk substitute. It has a sweeter flavour than some of the nutty selections such as Almonds and Cashews. It is a bit high in sugar and calories. Like many of the alternative, oat milk is calorie free. It does not do well in foaming or steaming, but for a different flavour to the regular cup of Joe it is a viable solution.